The 9-hole Orange Nine at Palmetto Pines Golf Course in Parrish, FL is a public golf course that opened in 1956. Orange Nine at Palmetto Pines Golf Course measures 2498 yards from the longest tees and has a slope rating of 92 and a 31 USGA rating. The 9-hole Red Nine at Palmetto Pines Golf Course in Parrish, FL is a public golf course that opened in 1956. Red Nine at Palmetto Pines Golf Course measures 2122 yards from the longest tees. 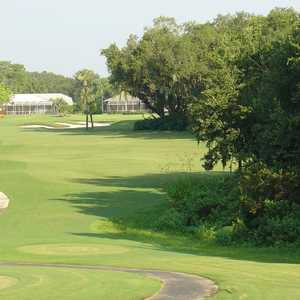 River Wilderness Golf & Country Club is situated along the north shore of the Manatee River. 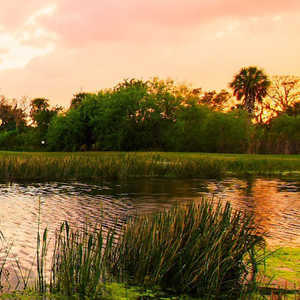 The course is the centerpiece of a gated golf-and-boating community and it is a certified Audubon Cooperative Sanctuary. The layout stretches across more than 150 acres of scenic terrain that offers a mix of woodlands and wetlands.